My small meditation bowls are pinched and formed from a single handful of clay. It is an intuitive and relaxing process of following and working with the clay to see what will happen! The clay remains in the hand most of the time with one hand supporting and feeling while the other is working. The result is often surprising and pleasing because it is a gentle and slow process where one is simply feeling one's way along. In a sense, it is a collaboration with the clay! With some meditation bowls it has become a challenge to see how thin I can make them and other times it is to see how big I can pinch a handful of clay. At other times I enjoy putting together a group of meditation bowls that have a relationship but usually I have no set agenda except to slowly and quietly begin punching and forming to see what will happen. It is a process of working in partnership with the clay but letting it take the lead. 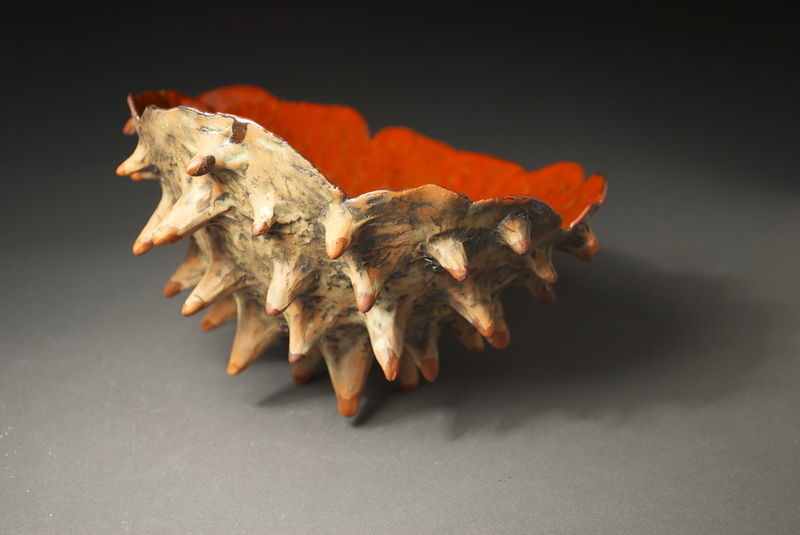 My meditation bowls are formed mostly from red and white earthenware. 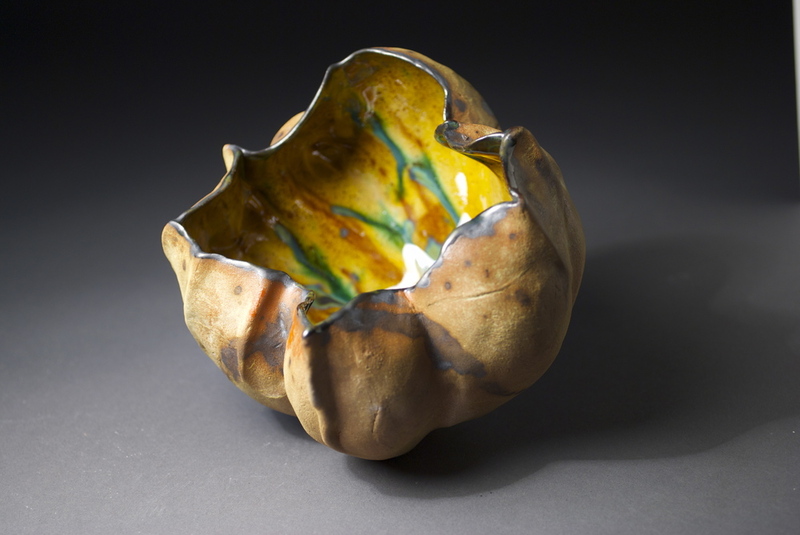 I use oxides, terra sigillata and sometimes underglazes air-brushed or brushed on the outside. The insides have a layering of glazes which are usually glossy and create a contrast to the muted matt surface of the outside of each meditation bowl. I will only add that I continue to love this process of pinching a handfull of clay and share it in every workshop I teach. I learned about this process from Paulus Berensohn’s book “Finding One’s Way In Clay” thanks to my friend Jo Jeffers some 50 plus years ago when we both worked at the Gibbes Art Gallery in Charleston.